Scenes from the Korda brothers’ Technicolor classic, The Jungle Book. The Jungle Book is a great Hollywood film classic! Based on Rudyard Kipling’s 1894 book of short stories set in India, this is real movie magic produced before the advent of CGI generated special effects. Computers as we know them had yet to be invented in 1942. A decade later, the amount of space required for one machine would have taken up an entire wing of a large building. So the amazing cinematography and scenery in The Jungle Book had to be accomplished with over-sized, highly detailed set decorations and huge painted backdrops. We can only hope that the animals weren’t mistreated during the filming of this epic. There are a few scenes where they are literally walking through the flames on the set! I also don’t know how the incredible pyrotechnics at the end were produced without posing a dangerous threat to both human and animal actors. Some of the naturalistic footage of wildlife and the crafty editing reminds me of modern classics like Baraka. The difference is that most of the scenes in The Jungle Book were filmed on a Hollywood studio set. This version of the Kipling classic was a family project produced and directed by the Hungarian Korda brothers. United Artists spent $300,000 on the production. Zoltan Korda directed the movie and Alexander Korda was the producer. The beautiful Technicolor cinema art direction was created by Vincent Korda. Amazingly vibrant colors and scenery add a mystical and mythological atmosphere to the story. The Korda brothers (The Thief of Bagdad, That Hamilton Woman) had just arrived in the US from Great Britain during World War II. Despite modern criticisms directed towards Rudyard Kipling due to his jingoistic views of the British imperialistic colonial empire, there is no doubt that he was a master storyteller. This cinematic rendering reflects some of his sharp insights into both the animal and human kingdoms. The screenplay adaptation was written by Laurence Stallings. Cinematographers were Lee Garmes and W. Howard Greene with music by Miklós Rózsa. It was nominated for four Academy Awards: Best Art Direction-Interior Decoration, Color (Vincent Korda, Julia Heron), Best Visual Effects (Lawrence W. Butler, William A. Wilmarth), Best Original Score, and Best Cinematography. The photogenic Indian-American actor Sabu Dastagir plays Mowgli. Originally discovered by documentary filmmaker Robert Flaherty, Dastagir was usually credited using only his first name when he starred in 23 movies – including Elephant Boy (1937), The Drum (1938), The Thief of Bagdad (1940), Arabian Nights (1942), and Black Narcissus (1947). As a tribute to his father, his son Paul formed a rock band called Sabu in the 1980’s. Pop culture references to Sabu can be found in other films (Mel Brooks’s The Producers), television shows (Norman Lear’s The Odd Couple) and music by singer/songwriter John Prine. Supporting actors included Rosemary DeCamp as Messua, Patricia O’Rourke as Mahala, Joseph Calleia as Buldeo, John Qualen as the barber, Frank Puglia as the pundit, and Ralph Byrd as Durgaived. I must admit, however, that my favorite characters were Mowgli’s friends the elephants, and his sleek and agile mentor – the Panther Bagheera. 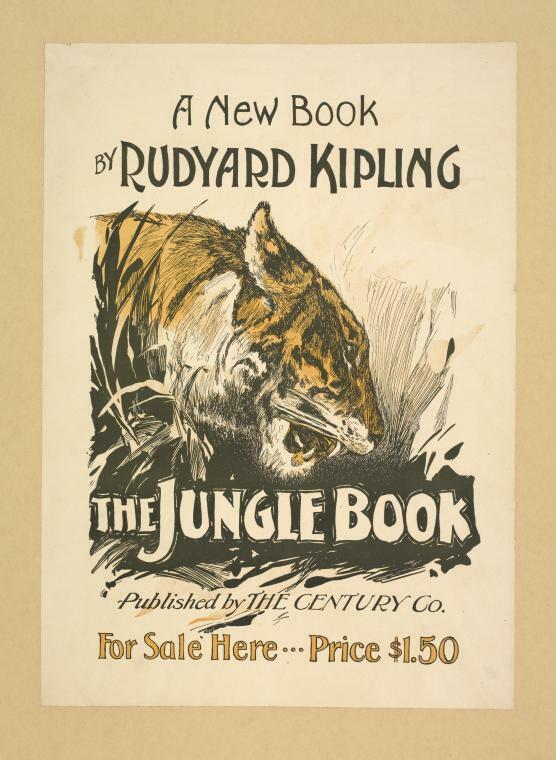 The Korda brothers’ Jungle Book was an ambitious effort to present at least an approximate telling of the stories in Kipling’s book. Zoltan and Alexander reportedly disagreed on whether the film should be a realistic treatment or a fantasy. It’s pretty obvious that Alexander’s vision of a phantasmagorical Jungle Book won the day. After all, when a story line involves talking animals and fabled lost treasures, it shouldn’t be surprising that eventually the Walt Disney Company would came along to make an animated version that also became an instant classic. There is a big difference between the Disney version and this previous Hollywood treatment. The nature of the animal’s characters in the 1942 film is much more menacing and mysterious. These are not necessarily child-friendly beasts. Also, the bear Baloo and the Bandar-log monkeys are not featured in the script (and the animals do not sing catchy pop tunes). My favorite scene is near the beginning of the movie. A toddler portraying the young Mowgli character alternatively plays with and sleeps beside real wolves. It’s absolutely adorable! I have no idea how the Korda brothers were able to film some of these scenes with the animals. I can’t imagine the incredible amount of pre-planning and patience that must have gone into the making of the film. This is why we use the term “movie magic.” Sometimes the cinema experience can actually take us to places we thought were impossible to visit. Kipling’s fantastic Indian jungle is definitely one of those miraculous places!